Hotel amenities : Concierge, laundry service, maid service, safety deposit box, wake-up calls. 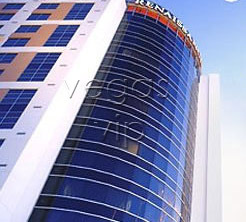 The Renaissance Las Vegas is a chic hotel, provides business travelers with luxury amenities and quality service. 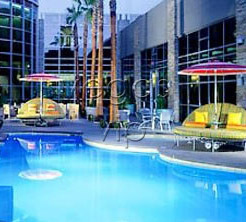 This stylish and contemporary hotel is located next to the Las Vegas Convention Center. 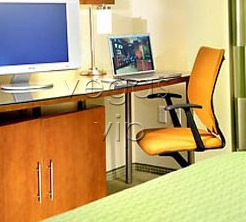 Standard room amenities include complimentary high-speed internet access, two dual-line telephones, voice mail, an oversized desk and a 34-inch flat-screen TV. Amazingly, the Renaissance Las Vegas is more than a business hotel. Even locals and pleasure travelers are drawn to Envy Steakhouse, created by Chef Richard Chamberlain. Both the restaurant and the Envy Bar & Lounge have access to an extensive 1,500-bottle wine list.